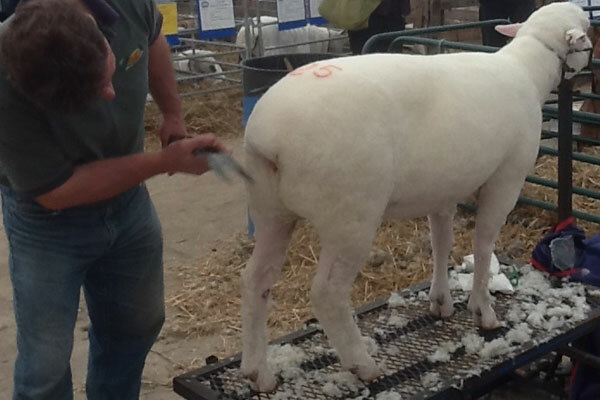 For over 35 years, Briar Glen Farm has been breeding, showing and selling quality	registered Dorset Sheep. 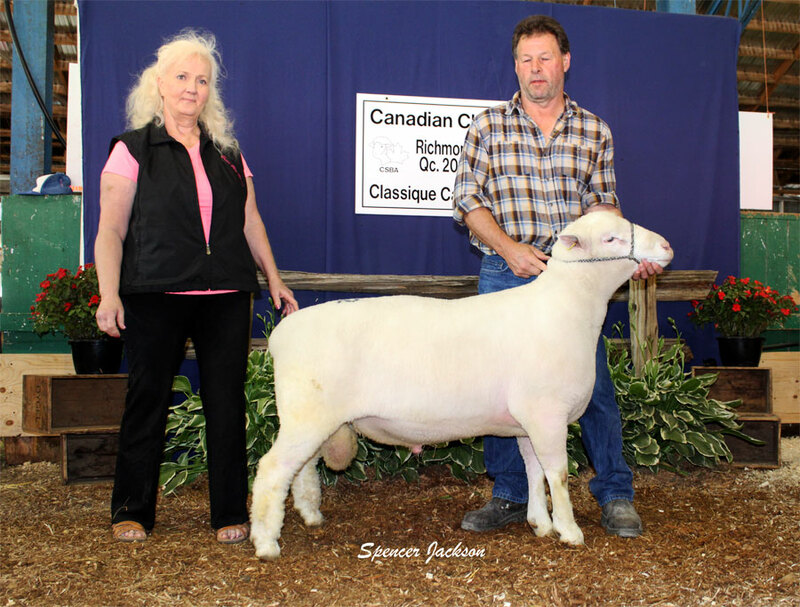 We've had the highest selling ewe at the All Canada Sheep Classic and have topped the Olds, Alberta, Test Station for the highest ADG (Average Daily Gain) over all breeds, over many years with our Dorset Ram lambs. 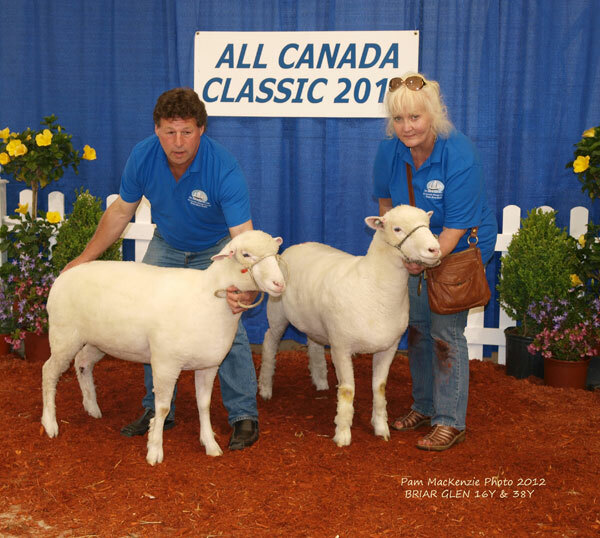 Briar Glen Dorsets have won the Carcass competition at the Pacific National Exhibition over all breeds with over 50% dressed weight and our Dorsets have won numerous carcass competitions at shows all over Alberta and British Columbia. Briar Glen Dorsets have been bred to be neither "extreme" nor old fashioned; they have been bred for meat production and good Dorset type. 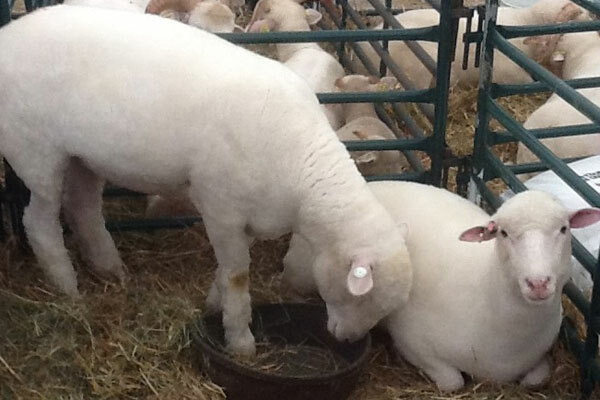 Ewes are selected for mothering, milk and ease of lambing with a majority of twins or triplets. 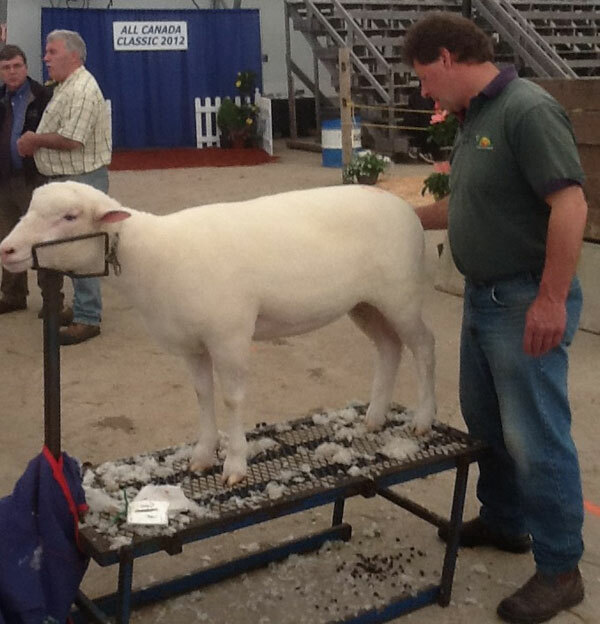 Rams are selected for fertility and ease of handling and good temperaments. 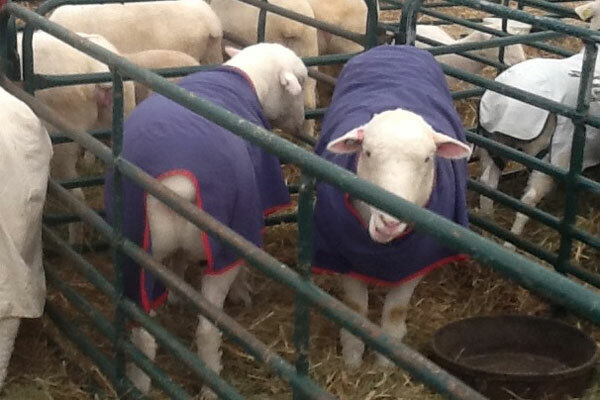 We never have kept any rams who are not safe with family members or visitors. 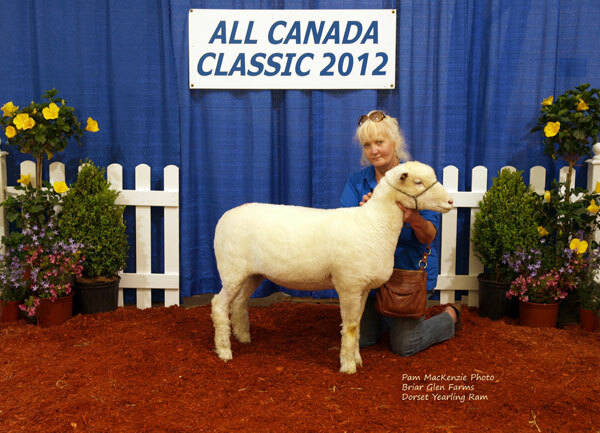 Look for Briar Glen Dorsets at shows and at the All Canada Classic! 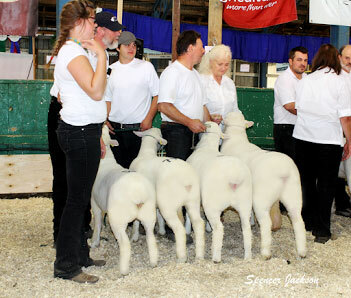 The All Canada Sheep Classic was held in Richmond, Quebec. 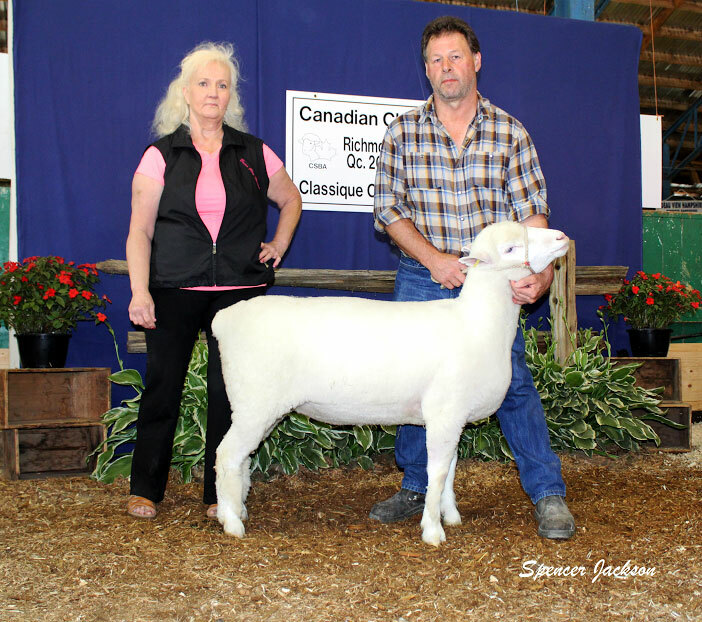 Our ram an RR sold to Randy and Jelaine McDermit of Saskatchwan for $3800. 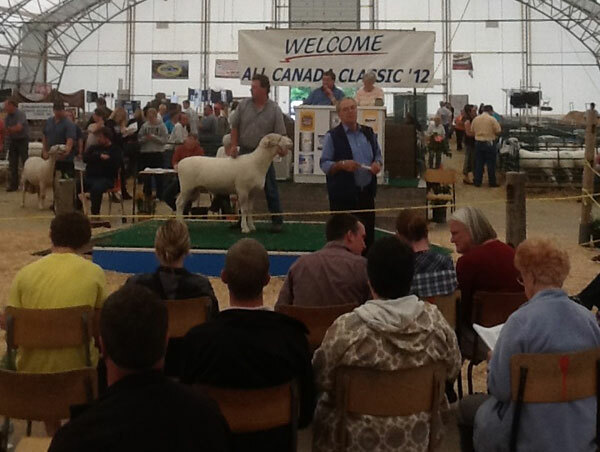 Thanks to the runner up bidder Century Lane Farms of Ontario.